“No economic growth is good for a country if it stays in the hands of the few. The same applies for forestry,” said Tiina Huvio, Chair of the UN Food and Agriculture Organization (FAO) Forest and Farm Facility (FFF) Steering Committee, and Programme Director for the Finnish Agri-agency for Food and Forest Development(FFD). Tiina was speaking at a smallholder workshop held at the end of September in Hue, Vietnam. 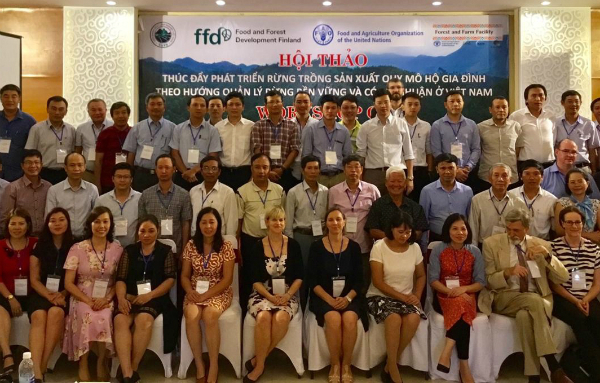 Organized by the Vietnam Academy of Forest Sciences (VAFS), UN FAO-FFF and the FFD, the workshop looked to enhance smallholder forestry towards sustainable and profitable forest management in Vietnam. Rémi Sournia and Richard Laity from the Development Team of PEFC International participated in the workshop, discussing how PEFC group certification can bring smallholders together and enable them to gain market access. 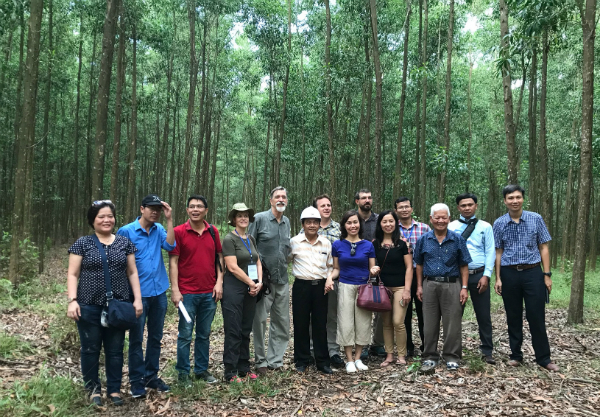 “I am excited to be in Hue, identifying the many issues faced by smallholders and finding out how PEFC can help them enter into responsible supply chains, both nationally and internationally,” said Rémi Sournia, PEFC International Development Manager. “Ensuring that smallholders can achieve certification and therefore access international markets, has always been at the heart of PEFC – this is why we developed group certification nearly two decades ago,” continued Rémi. Group certification ensures PEFC certification is affordable and practical for the many thousands of small-, family and community owned forest around the world. Even if smallholders do not have access to PEFC forest management certification, the non-certified material they currently supply can be included in the PEFC supply as controlled sources after a positive due diligence verification. To ensure the region’s certification bodies understand the details of the PEFC Due Diligence System (DDS), we will be holding a Chain of Custody auditor training session with a special focus on the DDS for sourcing from smallholders. “Having completed the Chain of Custody auditor training last year, I am very interested to see how the due diligence system can work in the context of Vietnamese smallholders,” said Mr. Tai Tran, Manager of certification body Tuv-Sud in Asia. This training enables certification bodies to build their national auditor competency and fulfil our PEFC Chain of Custody training requirements. It will take place in Hue, Vietnam, 30-31 October 2018, with an optional field day focusing on smallholder DDS verification on 1 November.